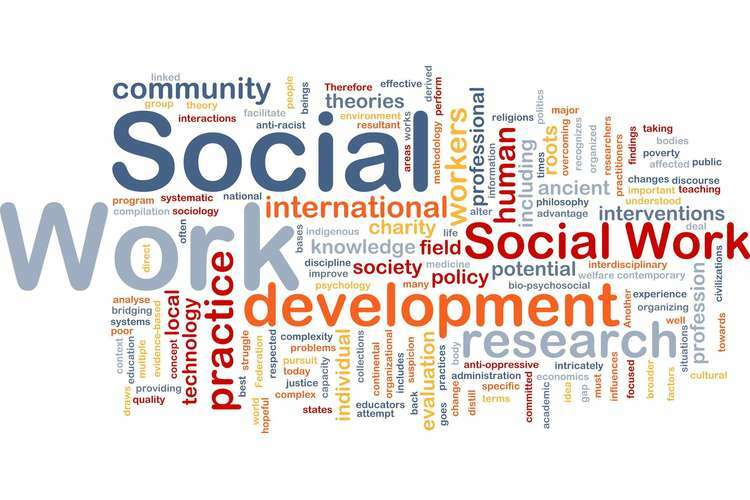 During the BSW course, I have been exposed to a variety of social work theories and models that have significantly influenced my approach to the practice of social work. Practical experience has enabled me to put the concepts learned in class into actual application and enabled me to gauge the benefits and disadvantages of each approach. Based on these experiences, I have decided to design an objective narrative approach to social work. This model borrows from the ideas of the narrative approach and the Solution-Focused Brief Therapy (SFBT). Whereas the narrative approach entails clients verbalizing their problems and view them from an outsider perspective, the SFBT approach takes the view that clients are experts at solving their own problem and that they should participate in the development management of the solutions. The Objective Narrative Approach (ONA) that I propose will introduce objectivity into the narration and enable clients to talk about their problems in a guided manner. The narrations will not be random but will take a specific direction based on guidelines developed by both the client and the therapist. By enabling the client to talk about specific aspects of their story, the ONA approach will ensure that as much detail as possible is covered by the client so that the solutions achieved are enduring. While building from the experiences of the narrative approach, ONA will remove the challenge where the client has to develop their own narration style and may consequently forget to mention critical aspects which can help the therapist initiate the requisite interventions. In addition, the client, out of fear of stigma, may leave out embarrassing aspects of his story and thus jeopardize the recovery process. In this regard the therapy process will be more objective and save the time spent with the client. My value systems have informed my choice of this approach. I believe that every client must be treated with human dignity and not be stigmatized based on the problem that confronts them. In this regard, I separate the client’s problem from their personality in the belief that once they solve the problem, they can be able to lead a normal life. In addition, I believe in professionalism where I hold ethical practices in social work to the highest level. I therefore do not engage my clients beyond what I am expected to do as a social worker and strive to ensure that they obtain solutions to the problems they face. In addition, I value time and ensure that I use the time allocated to professional work optimally. I therefore desist from practices that fill up time and ensure that I finish the tasks allocated in the shortest time possible. However, I acknowledge that some forms of therapy need more time listening to the client and allowing them to go through such practices as mindfulness. In this respect, I strive to stick to the task at hand without wasting time on unrelated conversations in a therapy environment. I also hold empathy as a critical value in the social work experience. Although I appreciate the fact that I can never fully comprehend the client’s circumstances, I try to base my intervention from their point of view as I engage them without emotional attachment. Consequently, I desist from expression of anger, disgust or sorrowfulness as I converse with the client. Through the BSW class experience and my interactions with the clients I have been able to appreciate the place of the various theories to social work practice. The psychosocial approach has been proposed by Erik Erikson; this theory opines that the behavoiur of individuals are influenced by their environment (Basham et al, 2016). Aspects of trust and mistrust as experienced by an individual as he grows up significantly influence an individual and shape their perspectives in life. Consequently, individuals exhibit such contrasting traits as industry and inferiority, intimacy and isolation and create the basis for affection (Erikson, 2016). However, critics have questioned Erikson’s method of testing that heavily relies on biographical case studies of famous personalities. In addition, the theory lays more emphasis on childhood experiences and provides little details about experiences that people have in their adulthood (Jacobs, 2018). The Psychodynamic theory provides a more intimate explanation for the reason for people’s behavior. In this theory, Sigmund Freud proposes that individuals are influenced by the id, ego and superego (Ewen and Ewen, 2014). The id is the primary instinct that seeks pleasure while a voiding pain. The ego constrains an individual to find practical ways to enjoy pleasure while the superego is a combination of societal expectations that influence the conscience. Ewen and Ewen (2014) postulate that according to this theory, individuals are in constant conflict between the ego and superego that lead to the development of defenses that determine how an individual deals with internal conflicts. This theory has gained popularity among social workers but it lacks scientific proof of some of its key propositions. In addition, it takes a lot of time to conduct therapy using this theory. The Social learning theory popularized by Albert Bandura states that the adoption of behavoiur by individuals is determined by their perception about what others think about the trait. Based on this theory, when individual perceive that a certain trait is desirable by significant individuals in their lives, they easily adopt it regardless of their personal opinion about the change (Bandura, 2014). The systems theory, on the other hand, postulates that the behavoiur of an individual is determined by a number of factors that form a system. Systems around school at home and in the context of work constrain an individual into specific kinds of behavior. These theories inform the perspectives of the various social workers in their routine practice. The objective narrative approach is based on my personal conviction that both the therapist and the client must work together in a sincere exercise in order to find solutions to social problems. The ONA approach seeks to constrain the client into an organized narration and is a time saving technique for both the client and the professional. The use of the narrative is the belief that there are clear patterns in an individual’s life that determine their current behavoiur (Musgrave, 2017). Based on the ideas of the Systems theory, the client has to identify factors that form a system around him in order to find sustainable solutions to the social problems. Consequently, the client is expected to be sincere in his narration and enable the therapist to identify the systems that constrain him. Such systems may have a relationship with the Ego and superego forces as proposed by Sigmund Freud in the Psychodynamic Approach (Rothe, 2017). Freud proposes that social workers must acknowledge the existence of conflict and this discovery will enable them to develop appropriate activities for the client (Bokanowski, 2018). Through empathy, I will enable the client to verbalize his problem in a structured manner and develop suitable interventions under the ONA approach. Bandura is of the view that motivations towards behavior are not based on false reality created by the client’s misconception of the opinion of others. This approach determines the adoption of both positive and negative traits. ONA uses professionalism in narration to determine behaviors which are adopted by the client that are as a result of false reality in his mind. False reality is formed partly by societal systems that create expectations of behavoiur as stated by the Systems Theory (Bandura, 2017). The Objective Narration Theory will therefore apply the ideas of the Systems theory, the social Learning theory and the Psychodynamic theory while providing therapy in social work practice. Several approaches are used by Social workers in practice with varied results. The Task-Centered Practice (TCP) is a model that has been used in social work for over forty years (Turner, 2017). In this model, social workers and clients work together to develop specific and achievable goals to solve identified problems. The process begins with the identification of the problem through the joined efforts between the client and the professions. The second step is the setting of goals which enables the client and the social worker to establish personal contact. The parties then take some time in therapy sessions and at the end of the process, the two evaluate the success of the process. The evaluation process entails examining how the process has contributed to solving the initial problem. The Narrative Approach is a social work model where the client is encouraged to speak about his problem with a detached attitude. The purpose is to help the individual visualize the problem from an outsider’s perspective (Fraser and MacDougall, 2017). Through this approach, the client sees the problem as an external challenge rather than something that defines them. Furthermore, the client is able to decipher the extent to which the problem affects them in a bid to evoke positive responses. The narrative approach is ideal where the social worker wishes to give power to the client to manage their problem (Morriss, 2015). However, this problem has been criticized for lacking a proper theoretical basis. The narrative approach is based on philosophy and has little grounding in theory. Nonetheless, it is an excellent approach for problems that are short-term. The Solution-Focused Brief Therapy (SFBT) is another model of social work that is premised on the view that clients are the architects of their problems and consequently, the shapers of their reality. According to this theory, clients already bear solutions to their problems and only need assistance to bring them to the fore (Bond, Woods, Humphrey, Symes and Green, 2015). The role of the therapist is therefore to trigger responses from the client to enable him solve his own problems. In this regard, the professional asks a number of questions that are retrospective in nature. The social worker and the client, through this approach, work to develop achievable goals in solving the problem. However, there is more emphasis on the client’s present circumstances without making reference to the past. The result of this perspective is that the client may only receive temporary treatment because some causes of social problems stem from childhood. The Cognitive Behavoiur Therapy (CBT) on the other hand is based on the principle that thoughts and feelings influence the reality of individuals and by changing them, an individual is able to alter the way they perceive the world (Reinholt and Krogh, 2014). The therapist therefore uses such techniques as mindfulness and meditation to achieve this goal. The task Centered practice and the narrative approach have marked similarities with the Objective narrative approach. The narrative approach uses the traditional talk therapy to encourage the client to verbalize his story in order to enable him visualize the extent to which the problem affects his life (Graham, 2017). However, this approach lacks a sound theoretical grounding and several scholars do not comprehend its philosophy (Fook, 2016). The ONA approach seeks to maximize on story-telling by developing specific guidelines for the therapist. The narrative approach accords much of the power in a therapy process to the client (Payne, 2015). However, ONA seeks to grant the professional power to exert reasonable control on the process. I propose this process because I believe that the professional has more expertise in handling client emotions and attitudes because of training. Kadushin and Harkness (2014) propose that when the client takes control in a counseling session, the therapist has minimal control of the process. Consequently, the client may unnecessarily stretch the process with narrations that may not add value to the solution of the problem. Although the Narrative Approach enables the social worker to come up with alternative stories to guide the client, the process is mechanical and may put the client in situations where they conceal crucial information (Nelson, Price and Zubrzycki, 2017). Both the Narrative Approach and the Objective Narration Approach seek objectivity is dealing with the clients problem. Talking about a problem removes the mystery out of the situation and thus makes the burden lighter. ONA goes beyond the relaxation that comes with the narration and seeks to confront the problem in a decisive manner through the efforts of both the client and the social worker. The Solution Centered Brief Therapy agrees with the philosophy that individuals are the experts of their own lives as upheld by the Objective Narration Approach. Based on the values of empathy and professionalism, ONA offers a candid way of looking at social problems and yet shows empathy towards the client. Under ONA, the therapist has greater control over the process while greater power is given to the client in solving the problem. During the questioning process, the therapist asks specific problems to the client about both the past and the present and lays less emphasis on an imaginary future. Provoking the client to think about the future may discourage him especially when his present circumstances are bleak (Healy, 2014). The ONA therefore borrows from the ideas of the Narrative approach and the Solution-focused Brief Therapy approaches but enriches the experience to achieve solutions in a more focused manner. The Objective Narrative Approach bears the challenge of affording the client limited time for self expression. However, I believe that social work is an objective practice and the social worker must only obtain the information necessary to get to the solution of the problem. Respecting the privacy of individuals regarding the dispensation of information is a show of respect will raise the public confidence in Social work practice and lead to the growth of the discipline. Social work is a critical discipline in society and there is need for creativity in order to increase its utility. The Objective Narration Approach seeks to break the traditional bounds of the practice and instil greater precision in the solutions of social problems. Both clients and social world professionals will find this approach appealing as saves their time and provides specific guidelines for engagement between the two parties. The client will be guided in his narration to ensure that he provides the information that is critical to the engagement. ONA will enrich the social work practice and obtain economy policy on time and enhance effectiveness in solving clients’ problems. 1.Bandura, A. (2014). Social cognitive theory of moral thought and action. In Handbook of moral behavior and development(pp. 69-128). Psychology Press. 2.Bandura, A. (2017). Mechanisms of moral disengagement. In Insurgent terrorism (pp. 85-115). Routledge. 3.Basham, K., Byers, D. S., Heller, N. R., Hertz, M., Kumaria, S., Mattei, L., ... & Shilkret, C. J. (2016). Inside out and outside in: Psychodynamic clinical theory and psychopathology in contemporary multicultural contexts. Rowman & Littlefield. 4.Bokanowski, T. (2018). On Freud's" Splitting of the Ego in the Process of Defence". Routledge. 5.Bond, C., Woods, K., Humphrey, N., Symes, W., & Green, L. (2015). Effective Counseling Interventions with Youth and Families: A Review of Solution Focused Brief Therapy. School Counseling Research Brief 9.2. Ronald H. Fredrickson Center for School Counseling Outcome Research & Evaluation. 6.Erikson, E. (2016, February). Children in literature: the voice of the subaltern?. In Papers drawn from the international Children and Childhoods Conference held at UCS—July 2015(Vol. 19). 7.Ewen, R., & Ewen, R. B. (2014). An introduction to theories of personality. Psychology Press. 8.Fook, J. (2016). Social work: A critical approach to practice. Sage. 9.Fraser, H., & MacDougall, C. (2017). Doing narrative feminist research: Intersections and challenges. Qualitative Social Work, 16(2), 240-254. 10.Graham, M. (2017). Introduction. In Reflective Thinking in Social Work (pp. 15-41). Routledge. 11.Healy, K. (2014). Social work theories in context: Creating frameworks for practice. Macmillan International Higher Education. 12.Jacobs, J. L. (2018). Religion, society, and psychoanalysis: Readings in contemporary theory. Routledge. 13.Kadushin, A., & Harkness, D. (2014). Supervision in social work. Columbia University Press. 14.Morris, L. (2015). Nut clusters and crisps: atrocity stories and co?narration in interviews with approved mental health professionals. Sociology of health & illness, 37(7), 1072-1085. 15.Musgrave, P. W. (2017). The sociology of education. Routledge. 16.Nelson, D., Price, E., & Zubrzycki, J. (2017). Critical social work with unaccompanied asylum-seeking young people: Restoring hope, agency and meaning for the client and worker. International social work, 60(3), 601-613. 17.Payne, M. (2015). Modern social work theory. Oxford University Press. 18.Reinholt, N., & Krogh, J. (2014). Efficacy of transdiagnostic cognitive behaviour therapy for anxiety disorders: A systematic review and meta-analysis of published outcome studies. Cognitive Behaviour Therapy, 43(3), 171-184. 19.Rothe, J. P. (2017). The scientific analysis of personality. Routledge. 20.Turner, F. J. (2017). Social work treatment: Interlocking theoretical approaches. Oxford University Press.